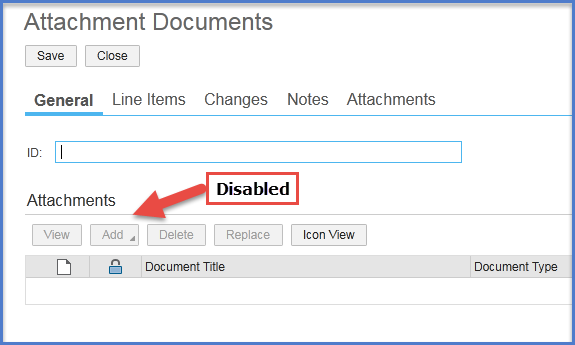 An object that is used to store attachments that are related to a business document. For example, a freight order or a forwarding order. 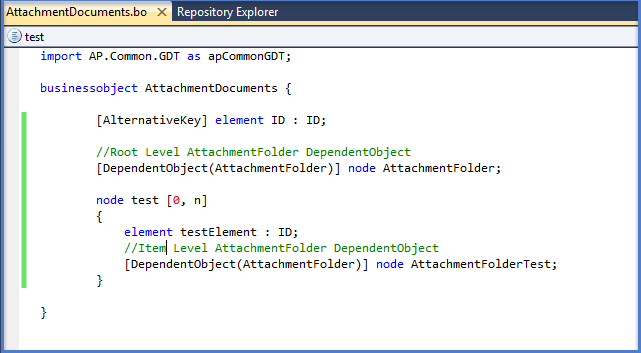 You use Dependent Object to store attachments that are related to a business document. You can upload any kind of files that contain binary content. You can store links to external content that is accessible via a uniform resource locator (URL). For example, links to content on the World Wide Web or links to files stored on a server. 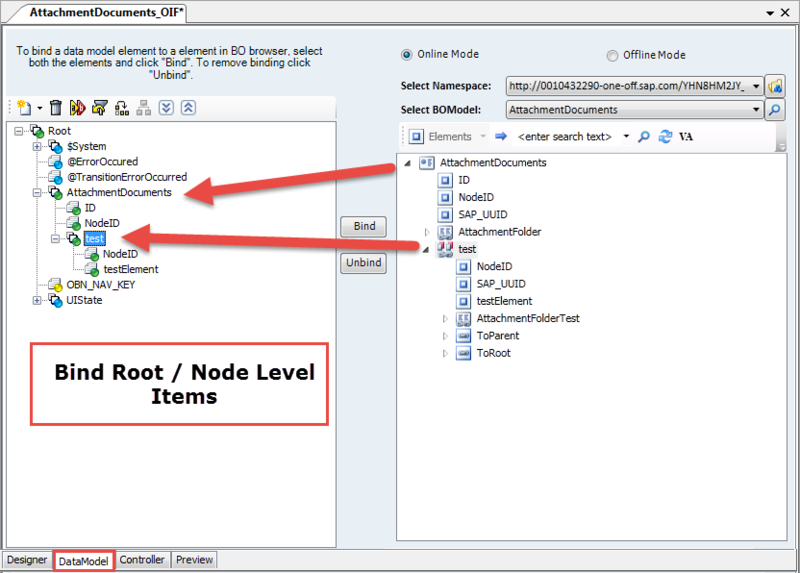 Here we are going to Implement Attachment Folder in root level and node level for custom Business Object. So, I would like to document it here and let you know the same so that it will stay as a reference for everyone. 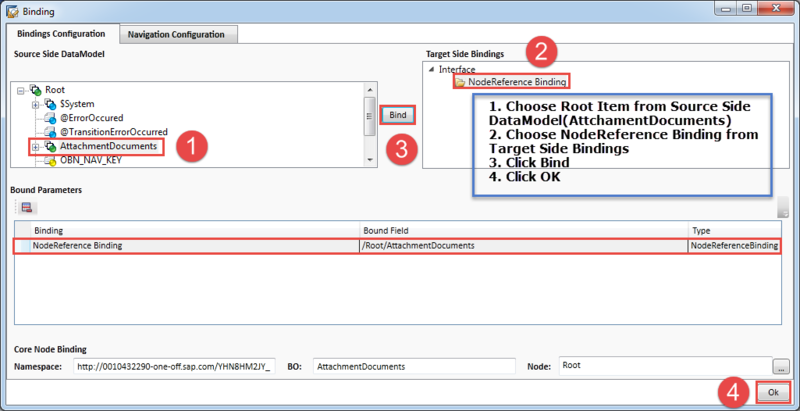 Scenario: Implement Attachment Folder in root level and node level for custom Business Object. 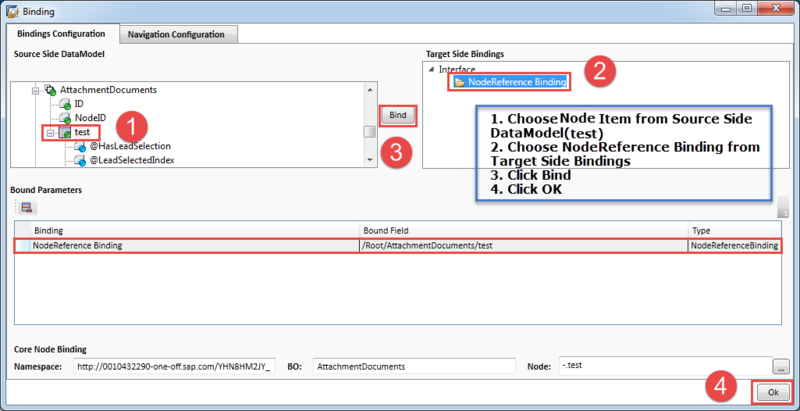 Create a custom Business Object AttachmentFolder. Define elements/node as shown in the below screenshot. see http://blog.sankaranss.com/2016/04/28/sap-byd-screen-types/.Your solution should look something like in the below screenshot. Double-click the new OIF screen. The OIF screen opens in the user interface designer. Bind each of the fields to the required business object element as shown in the below screenshot. A binding dialogue box will open. Configure binding with Root Level element as shown in below screenshot. Configure binding with Node Level element as shown in below screenshot. Login into SAP Business ByDesign as a Business User. Click Add -> File from Attachments. Add File window will open. 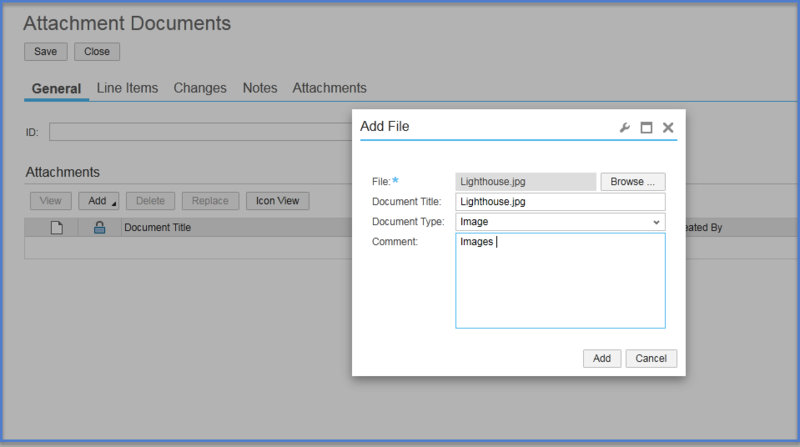 Navigate to Line Items -> Add Files in attachments. Don’t run OIF screen directly from UI Designer. First run QA Screen, then navigate to OIF screen from QA Screen. 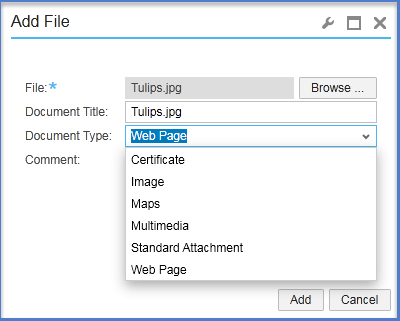 In future articles, we will learn how to display only selected Document Types in Add File Window. If you like to add some points to this article, kindly leave your points in the comment box. Don’t forget to subscribe it.